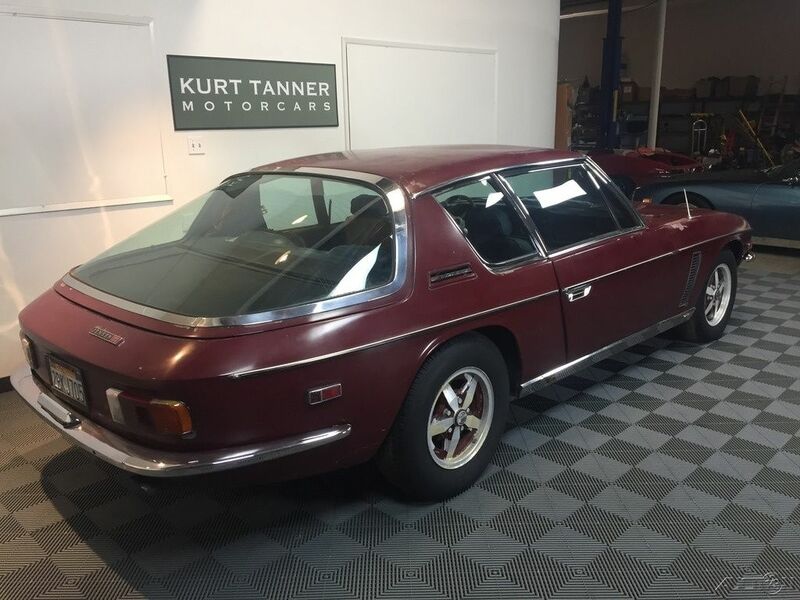 Find this 1973 Jensen Interceptor Mk III here on eBay offered for $14,750 buy-it-now located in Santa Ana, CA. 1973 JENSEN INTERCEPTOR SERIES 3 COUPE. LATE "J" MODEL WITH FINAL IMPROVEMENTS. ORIGINAL COLORS OF MED. BLUE METALLIC WITH NAVY BLUE LEATHER TRIM. STEEL SUNROOF. A/C. POWER STEERING. GKN ALLOYS. CHRYSLER 440 c.i. V-8 WITH AUTOMATIC GEARBOX. SHOWS 35,916 MILES. BELIEVED CALIFORNIA CAR FOR STRAIGHTFORWARD RESTORATION. ENGINE TURNS. 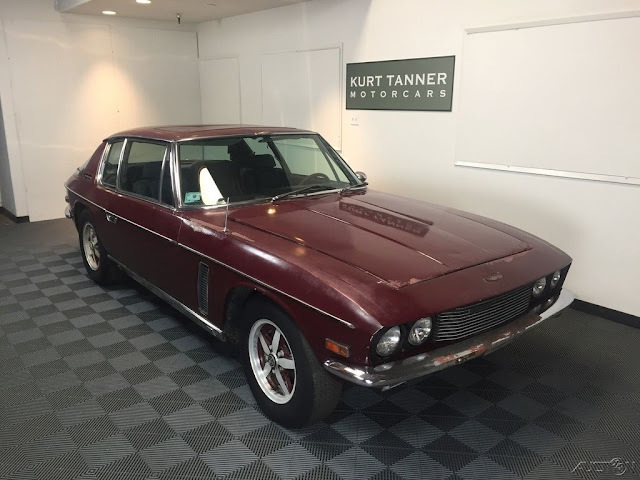 Offered for sale, from KURT TANNER MOTORCARS, is this very decent Jensen Interceptor Coupe for straightforward restoration. The Series 3 model is the most desirable and offered all of the improvements over the earlier cars. This car was recently purchased from a California back yard and has been off the road for at least the last 25 years. The car remains very complete, intact, and together with all of it's correct trim, badging, original wheel set, etc. The car is missing only it's air cleaner which should be an easy find. The body on this car appears very straight and extremely solid, save for some bubbling along the front of the hood, and a few miscellaneous small bubbles elsewhere. The panel fit on the car is excellent with nice fitting doors and hatch lid. The hood hinges have frozen and have pulled away from the hood mounts, so the hood currently remains loose. The rockers, fenders, and doors appear completely solid. There is some rust-through noted from underneath on the driver's side floor up front and in the rear, most likely caused by a leaky sunroof. I'm sure there may be a few other floor spots that need repair as a result. The rest of the car appears very good. 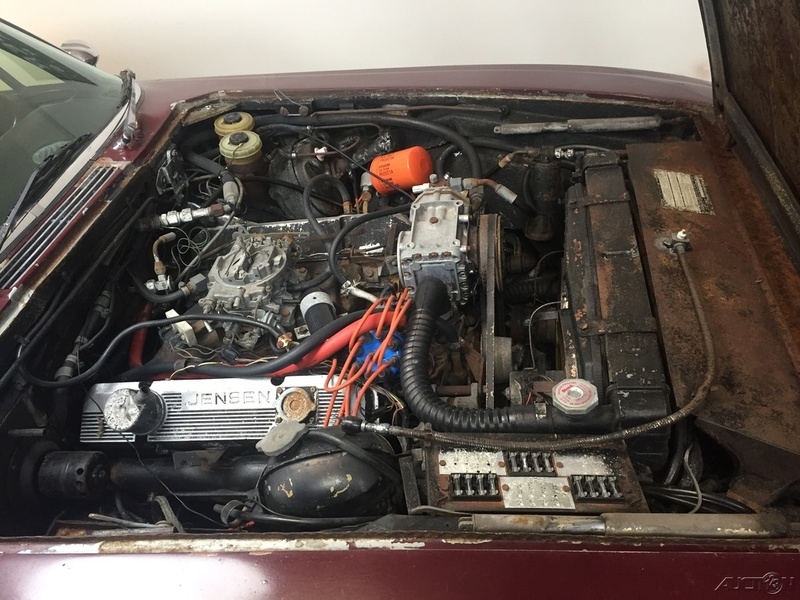 This body is well above other average cars on the market for restoration, with evidence of only a single repaint in the current burgundy. The car's original dark blue leather trim has deteriorated in the California sunshine and it's now time for a retrim. All of the interior appears fairly original and complete. The dashboard appears highly original. The car's original Triplex glass is in good condition. The car retains all of it's correct and straight bumpers, trim, badging, etc. that would restore nicely. The car's 440 engine will turn over smoothly on the key with a fresh battery. The previous owner said it was running fine a few years back but needed a new fuel pump. I'm sure with a little bit of work it could be made to run, and possibly very well... The car would definitely need at least brakes and a fuel system clean out. The speedometer reads 35,916 miles. The car's undercarriage surely looks very nice, dry, low-mileage, and original with it's original style silencers/hangers still in place. 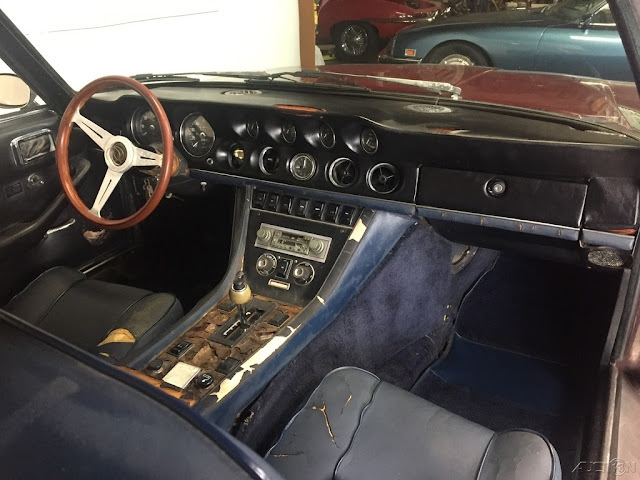 Overall, a nice complete California car for straightforward, easy restoration. These comfortable and high speed Grand Touring cars are becoming popular as of late, and offer a more affordable alternative to other high priced European GT's of the same period. This car is located in Southern California, 35 minutes (30 miles) from the Los Angeles Port of Long Beach.